Specifically Apple is said to be hiring experts in chip design, as well as batteries, according to the Korea Times. Citing an unnamed Samsung official, it was said that the workers were offered "greater independence" in new roles at Apple, in addition to higher pay. Apple's apparent interest in battery experts could be tied to recent rumors that the company is working on an electric car that it could release years down the road. The iPhone maker has been confirmed to have hired other battery experts from A123 Systems, thanks to a lawsuit that has accused Apple of unfairly poaching that company's employees. The Samsung official quoted in Monday's report suggested that many of the company's employees already speak English, so there would be no language barriers to them working in America. The report was first highlighted by G for Games. Samsung and Apple are fierce rivals, but the two also partner closely on a number of components that power Apple's most popular devices. It's rumored that Samsung will build the 14-nanometer "A9" chips expected to power Apple's 2015 iPhone and iPad refreshes. Prior to the launch of the iPhone 6, Samsung manufactured all of Apple's low-power ARM processors at its factory in Austin. 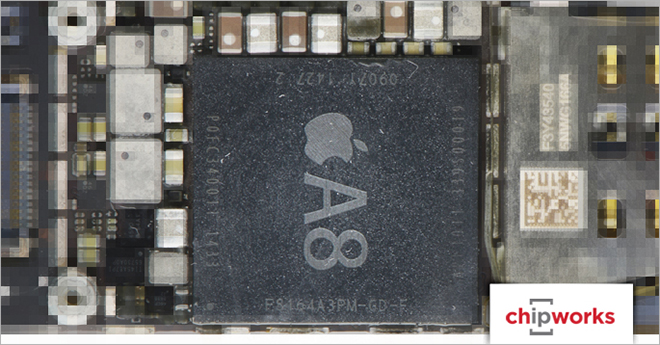 But starting with the A8 CPU in the iPhone 6 and iPhone 6 Plus, TSMC was said to have taken over the bulk of responsibility, though exactly how much is in doubt.